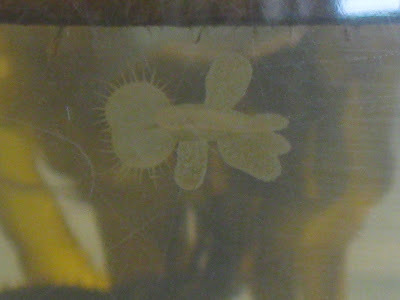 Hooded nudibranchs (Melibe leonia) have been popular around our dock the last few months. Also known as 'lion nudibranch' because of its mane-like feeding apparatus. Its hood is used as a feeding tool, embracing its prey like a net, catching small shrimp or crabs. They produce a sweet watermelon smell when taken out of the water! Check out the video below to watch how they move. Its like a beautiful dance through the ocean.